"Excellence Is Our Primary Focus"
Our team are dedicated in providing a service which exceeds your expectations. We look forward to working with you to create the memories that only music can give. Required by many venues, ABC Sounds has a current PLI policy with DJGuard / MusicGuard in the amount of £5 million. Also required by many venues, ABC Sounds has supplied satisfactory evidence of holding current PAT inspections of their equipment dated within the last 12 months. A Method Statement, outlining ABC Sounds&apos; Health & Safety procedure for setting up disco equipment has not been supplied. Why do people choose to book ABC Sounds? Felt this one was the best choice in terms of budget. Amazing customer service and very well presented. Amazing reviews too. Good reviews, quick to respond when contacted and came across as both friendly and professional. "Brilliant DJ and very happy with everything, have already recommended to other people "
"Simon was very professional and friendly we would definitely use him again, thank you x"
"Professional lad, arrived on time and set up with no fuss.Took into account our requests and kept everything ticking along nicely. Would recommend." "Very good DJ, set up well in time, started early as people arrived early and stayed until the very end, without being in a rush to end. Explained what he would do throughout the night and announced a couple of bits when requested. Easy to talk to also." "I was very pleased with the service provided from start to finish - responded very quickly to emails. Music choices on the day were good and Simon was very happy to play requests from guests. I would not hesitate to recommend ABC Sounds to anyone looking for a friendly, professional DJ at a reasonable price. " "All present at the function said the disco was excellent." "Brilliant. Would definitely use again." "Absolutely brilliant. No complaints. Couldn't have gone better, would 100% recommend. " 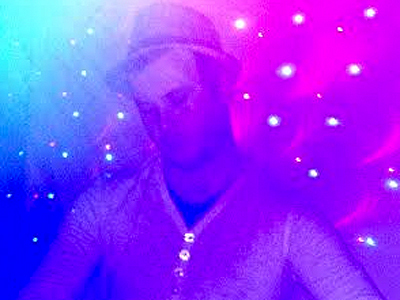 "Simon is an excellent dj I would highly recommend." "A suburb evening, enhanced by a fantastic DJ. So many people commented on his performance and he has made a lot of new friends/costumers. The whole time from booking to the day after( when i received a call to see if I was happy with the evening,) a great asset to any function. Many thanks for helping the occasion go perfectly. (AND YES I\'D DEFINITELY USE HIM AGAIN!)" "Thank you for the great feedback - it was a pleasure to be part of your event and we look forward to working with you again in the future"
"Played music from party hosts play list supplied before event and was great at reading the audience. Kept the party you going right to the end." "ABC SOUND was brilliant we couldn;t have asked for more"
"Many thanks for the great feedback - it was our pleasure to be of service"
"The dj was very good. Was very pleased with how this website worked. Very skeptical as you can get a bad choice. All in all happy with how the event happened and the music was very good. Would have again. Thanks ABC!" "Thank you for the great feedback - glad you enjoyed it"
"Amazing. What a great night Simon made this for us. Played everything we asked for and made it a truly entertaining night for everybody. I highly recommend this company and intend to hire him again for future events. Thank you Simon"
"Thank you so much for the great feedback - it was our pleasure"
"Can;t recommend them highly enough. If your looking for a great party these guys will deliver. Thanks for a great night enjoyed by all"
"Really appreciate the great feedback - hope to see you again soon"
"It was Simon who DJ;d at my 21st, and he was fantastic. By the time I arrived the DJ was all set up and ready to go, I had provided a playlist of tracks which were used and he built a bigger playlist out of my requests. The music was brilliant, the lighting was perfect for my venue. Simon was brilliant behind the decks and all my family and friends - and myself, had a brilliant time. Will definitely be booking ABC again for our next big party." "Many thanks for the feedback - really appreciate it - see you in the future!!" "We hired this company for our wedding & they were absolutely fantastic. We could not fault them in any way. They were kind, friendly people who worked hard to give us the best night possible. Also excellent value for money really would recommend ." "Thank you for your feedback - it was a pleasure working with you"
"Super efficient. Great communication. Friendly and professional. Great setup. Big part of a fantastic night. Highly recommended. Amazing value." "Great event and enjoyed meeting you all. 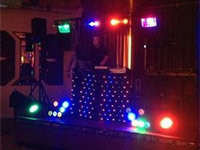 Thank you for your excellent feedback and we look forward to working with you again in the future"
"Fantastic DJ. They made the night both with the music and the lights. They helped with the games and they also did the little extras when asked. Thank you. Great value for money." "Really appreciate the feedback and look forward to working with you maybe in the future"
If you are contacting ABC Sounds about an event, it's always a good idea to include the DATE, LOCATION, EVENT TYPE, AGE GROUP and TIMINGS to speed things up!